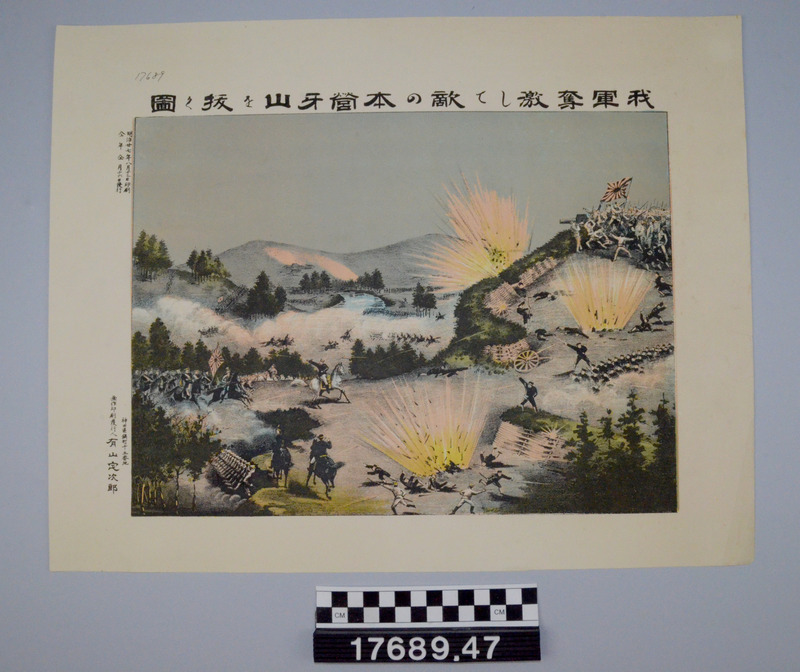 Printed sheet. 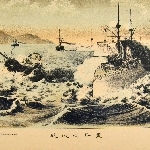 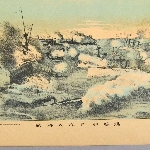 Battle scene with explosions. 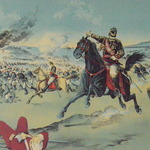 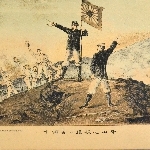 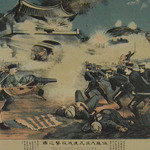 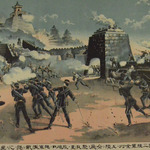 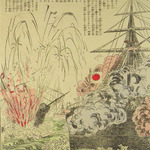 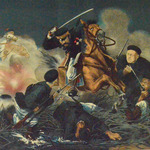 One of a set of 73 sheets consisting primarily of color prints with battle scenes with a style which has strong Western influence.